Australians love entertaining at home and with the advent of open plan kitchen/living exposed shelves have become popular. 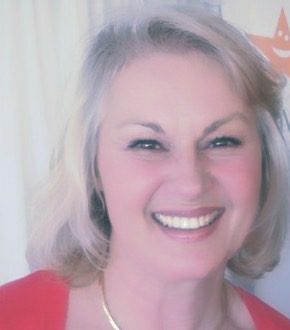 So many home owners look for new serving & crockery homewares plus ‘stuff’ they can display on open shelves. 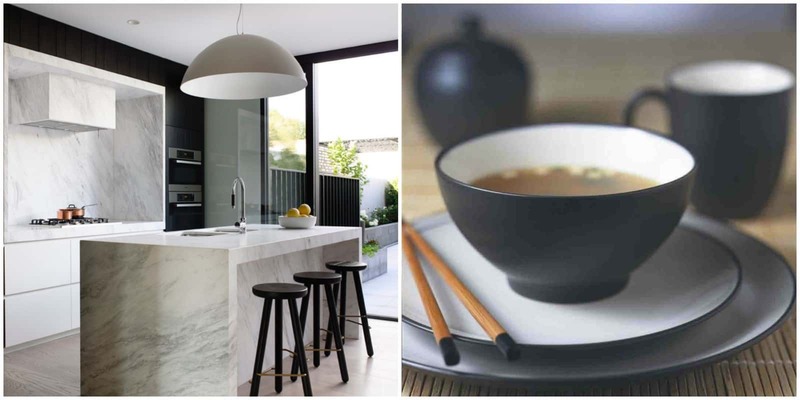 Two very well-known and popular brands in Australia are Noritake and Salt&Pepper who have both come out with fabulous new black and white kitchen accessories. Interior Design by Mim Design. Dinnerware by Noritake. Black and white kitchens can be sleek, modern and clean with high contrast white walls, marble bench-tops and checkered floors adding to the appeal. Add copper via pendant lights, bench-tops or even exposed plumbing. 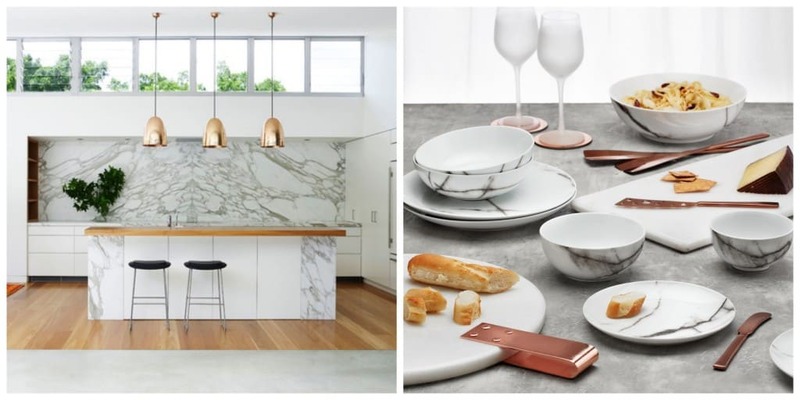 So when I saw the new Noritake black and white kitchen accessories and the Salt&Pepper marble and copper range I was understandably excited. In winter, we crave comfort foods like hot soup, crusty bread and chunky stews. 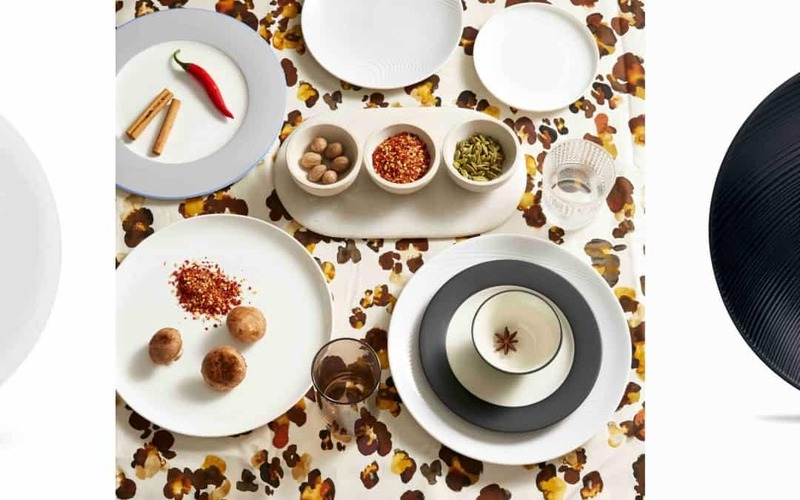 The neutrals in the new Noritake range work beautifully with the rich colours of winter comfort food – think pumpkin soup, tomatoes, carrots and chillies. 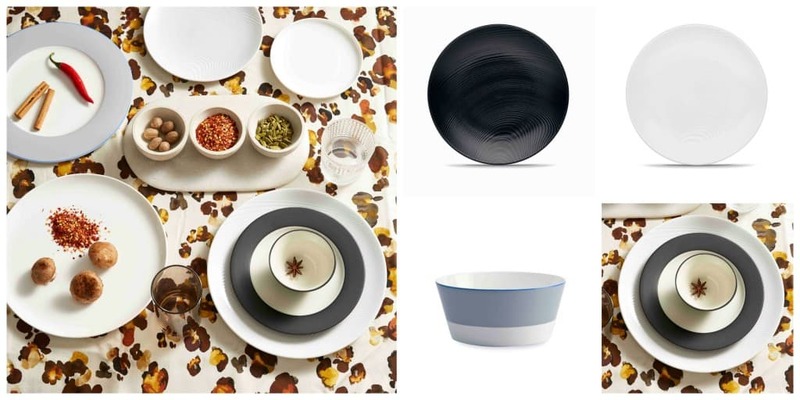 Just released, this beautiful new Contempo range is available now from Noritake. Interior Design by Holly Mathis Interiors. All dinnerware by Noritake. 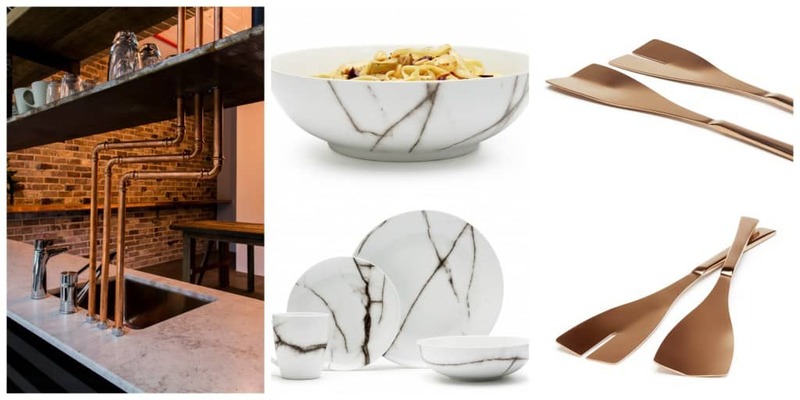 If you are looking for something more rustic or perhaps Italian than the clean lines of black and white, then the new marble range from Salt&Pepper will delight you. 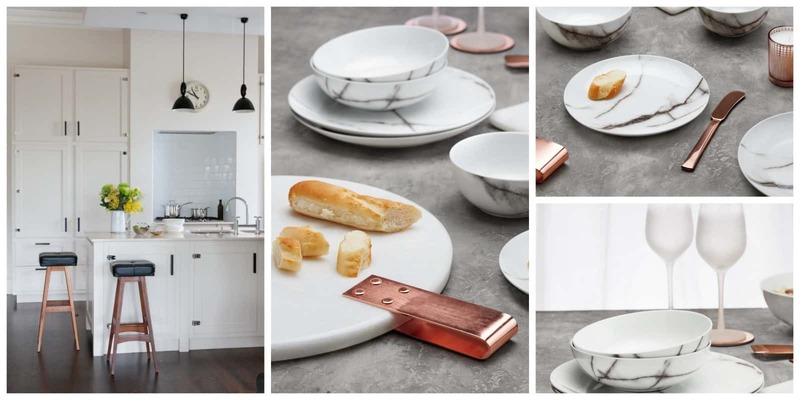 Embracing Marble and Metallics, you can add the finishing touch to this years major trend, copper in interiors, with MARBLE and HOST tableware. Mmmm, I can almost smell the hot crusty bread and soup from here. 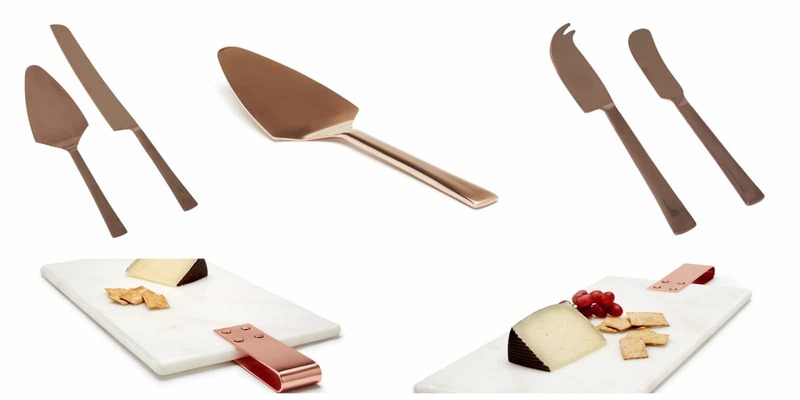 And what better way to entertain your guests than with stylish marble tableware and copper-look HOST cutlery and serving utensils. Metallics are dramatic and an on-trend decor item adding warmth, texture and interest. 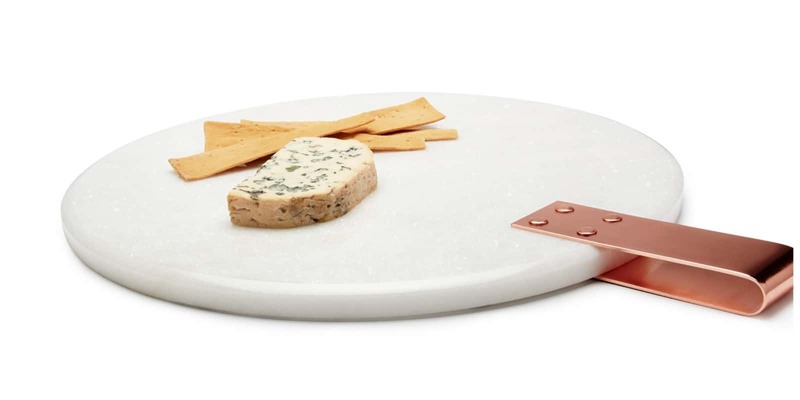 The MARBLE and HOST ranges are available now from Salt&Pepper and stockists nationwide. 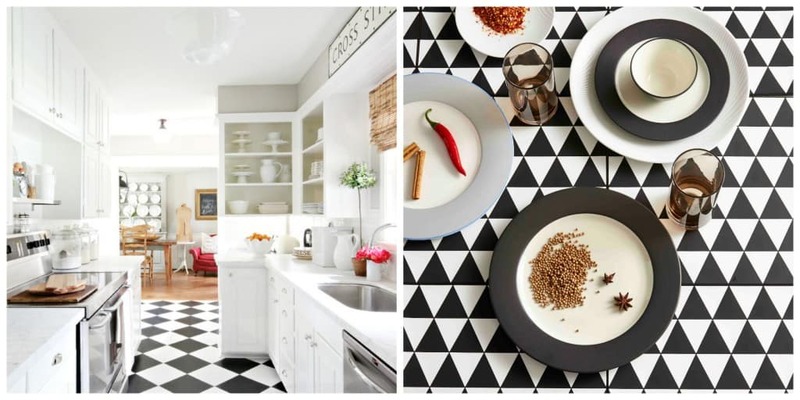 Are you a fan of black and white kitchen accessories? How about copper? Can you see yourself adding some to your home this year? What’s your favourite comfort food for winter? How do you best like to serve food for your guests? 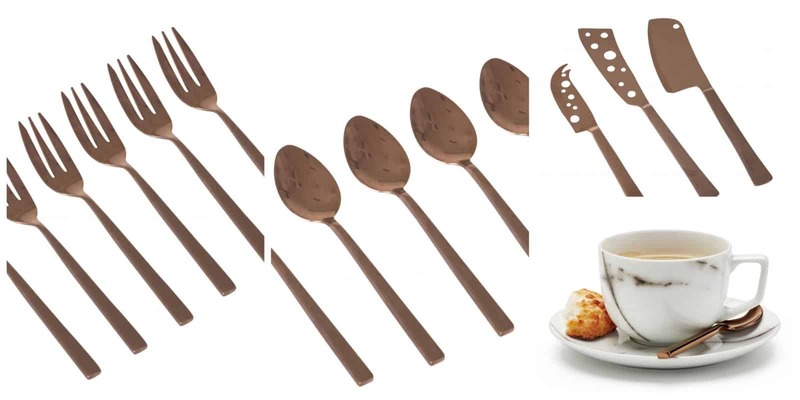 To buy now or see a lits of stockists, visit Noritake and Salt&Pepper on-line. But be quick, these gorgeous black and white kitchen accessoris won’t last long.